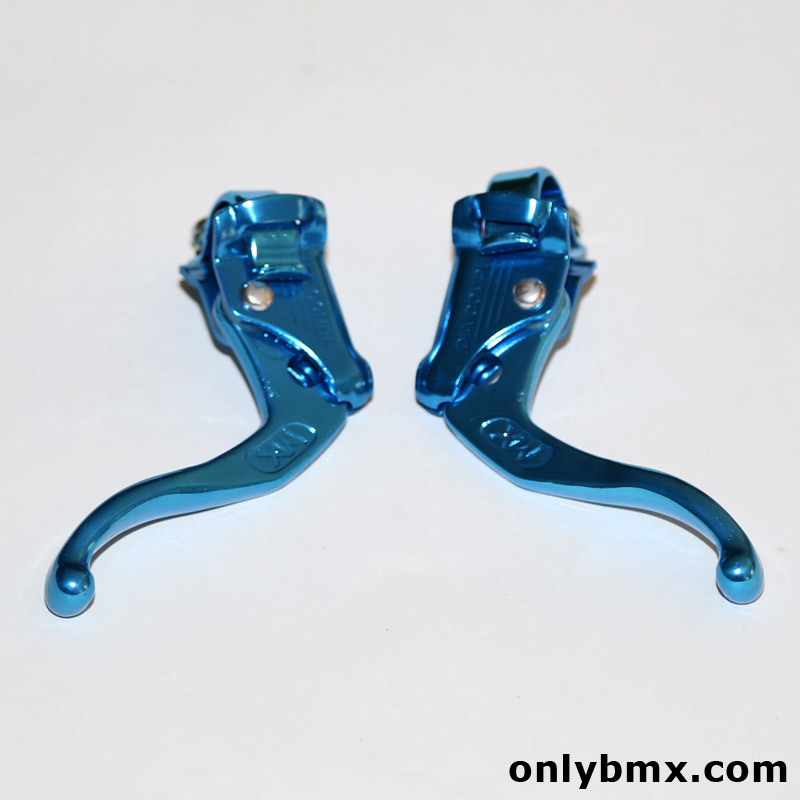 Pair of Dia-Compe Tech 4 BMX brake levers for sale. 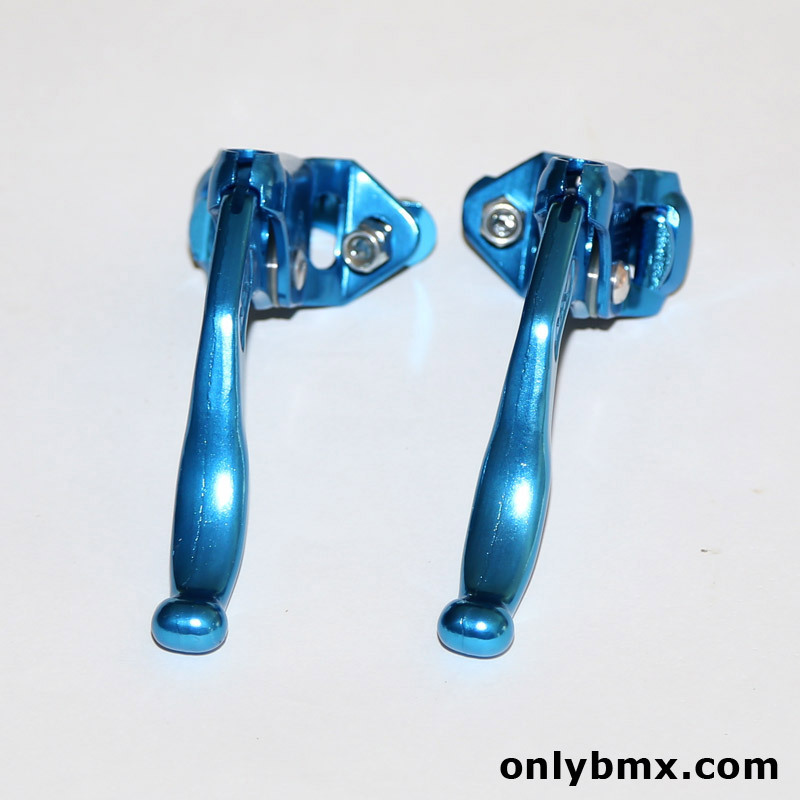 These are new and never mounted. 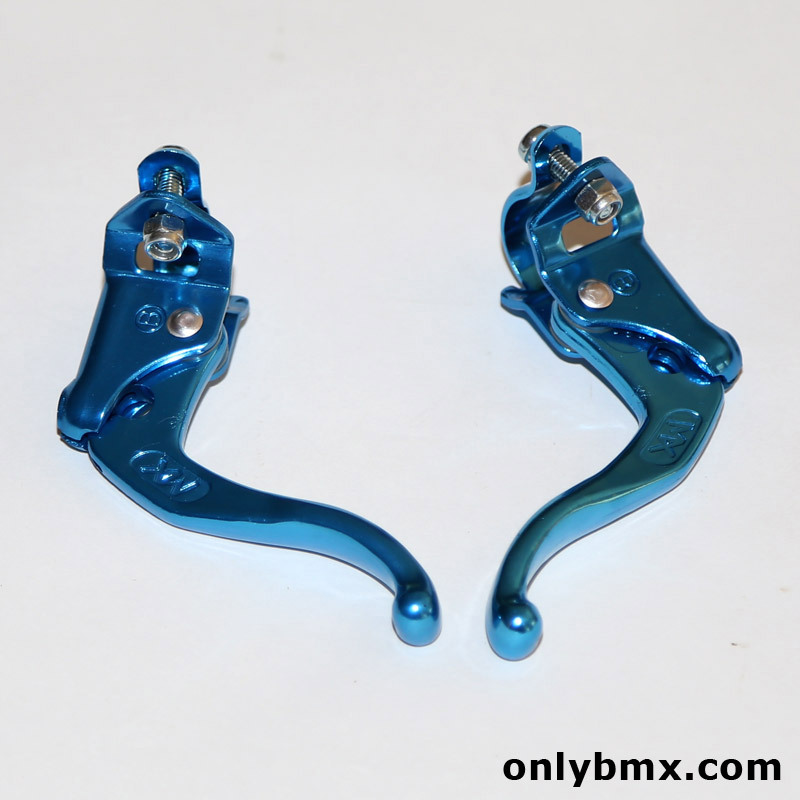 Blue colour is that perfect slightly paler blue than say the Shimano or Suntour colour. 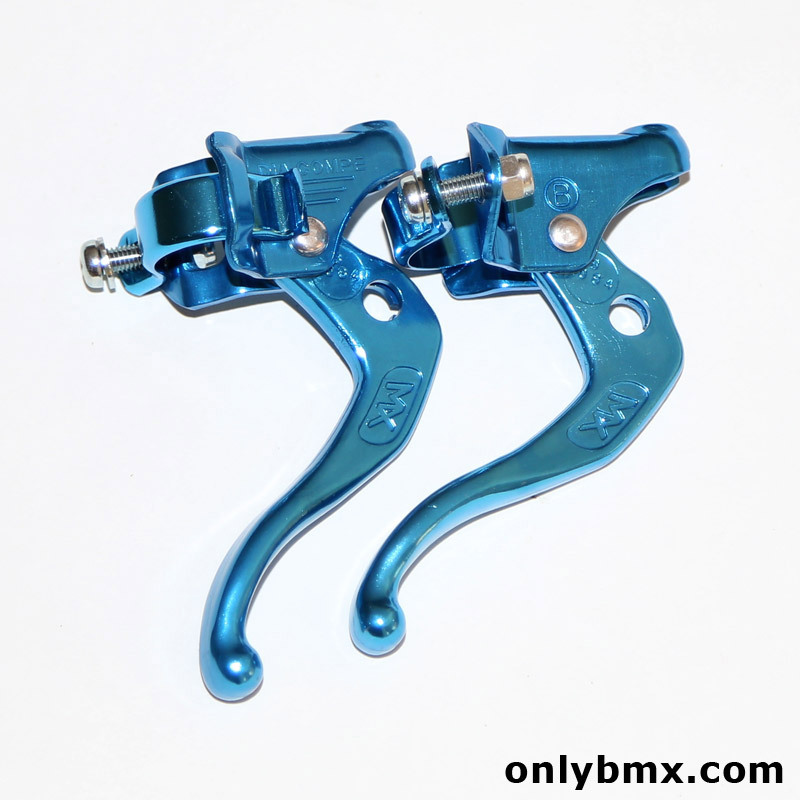 This is a matching pair and includes right hand side and left hand side levers. Levers are both dated ?0 84 with the first digit being obscured by the plastic bushing. 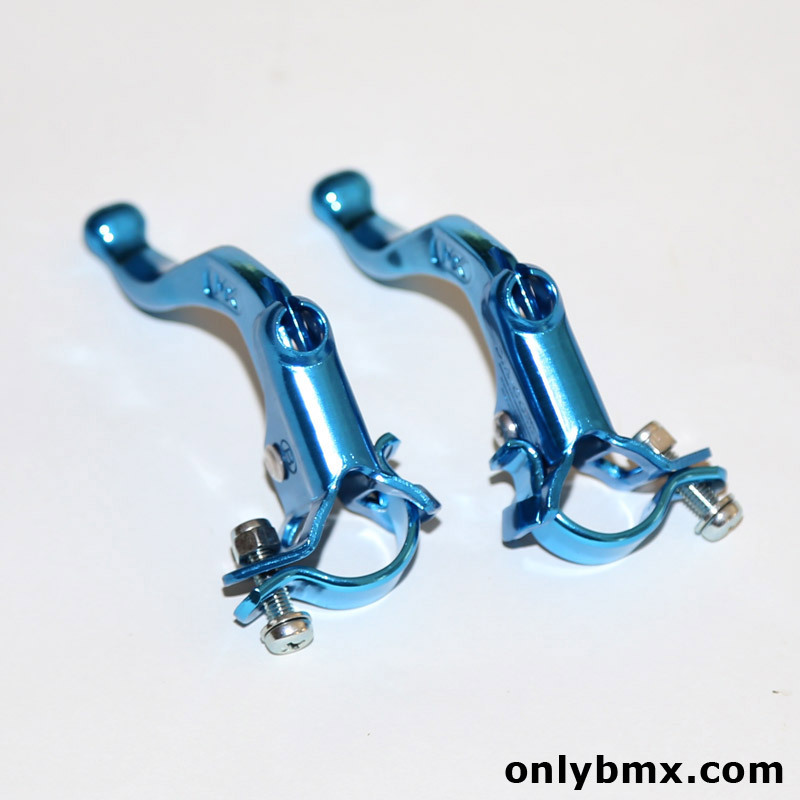 These are NOT the recent reissue levers and date back to the 80s.